A light, fast-absorbing, daily-use moisturizer for all skin types, Himalaya Herbals Aloe & Cucumber Refreshing Moisturizer hydrates, cools and refreshes your skin without leaving it sticky. Aloe Vera moisturizes and soothes while Cucumber cools and invigorates which helps maintain your skin’s moisture balance, leaving it soft, smooth and refreshed. 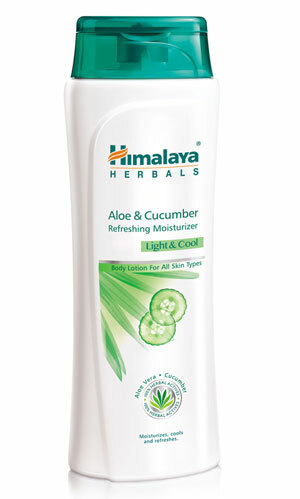 Apply Himalaya Herbals Aloe & Cucumber Refreshing Moisturizer gently all over the body, slowly massaging it in. Best used after bathing when your skin is most receptive to hydration.